Many have had questions about the VIP program so we would like to answer most common questions so everyone can know who we are and what we are trying to do. And if you are interested, we need more volunteers. Volunteers are your neighbors and they perform this valuable function on their own time. Our goal is to have two patrols a day/night and have no volunteer patrol more than once a week. If you can spare two hours a week or two hours a month, we could use your help. Please contact Tom Clatterbuck @ 972.250.6880 for more information regarding the BTW VIP Security Patrol Program. Help your neighbors in keeping BTW a safe place to live. 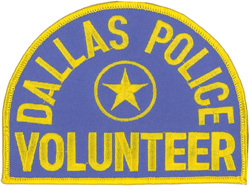 The VIP program is an extension of the Dallas Crime Watch Program where volunteer members of a neighborhood patrol their own neighborhood. All VIP volunteers pass a background check and are trained by the Dallas Police Department. What are the goals of BTW VIP? Reduce crime in BTW by providing a visible presence in our neighborhood. Our presence serves as a deterrence to criminal activity. We patrol at random times, driving our cars marked with signs and a flashing light to get the bad guys to go somewhere else. It is just like a home security system. You don’t want your system to catch a bad guy breaking into your home. You want the bad guys to see your security sign and go somewhere else. Help our neighbors better protect themselves. Police report that one of the most common crimes is theft from home garages. The number one reason that a criminal selects your home is that you left your garage open. If your name and number is listed in the BTWHOA Directory, the VIP will call you anytime we find that your garage door is left open and unattended. What doesn’t the VIP do? The VIP program is non-confrontational. Should a patrol see a crime in progress we call 911. VIP members are not police officers and have no special authority. BTW VIP is a security patrol serving the BTW neighborhood to make BTW a safer place to live. We do not report our neighbors for code problems or other non-criminal activities. BTW VIP does not patrol in unmarked cars, if you don’t see BTW VIP signs, it is not VIP. Since the inception of the BTW VIP Program, overall crime in the neighborhood has dropped significantly. It is clear that the efforts of your neighbors that perform BTW VIP patrols are paying off. What can you do to help keep BTW safe? Keep your house doors and windows closed and locked. If you have a security system, use it. Keep your garage door closed, even if you are working in the yard. Garage theft only takes a few seconds and most occur while the homeowner is working outside. Keep your vehicles in the garage. If you must leave one outside, keep it locked, and if it has an alarm, use it. Also remove everything from sight. To a bad guy even a closed empty box could have something valuable in it. Light up your house at night. BTW is very dark at night. Leave your front door light on. Also light up your driveway and alley. Motion sensor lights are highly recommended. Make sure your street address is visible from the street, and from the alley.